In the recent advancement of the medical science, the improvement in the diagnostic technology plays an extremely important role. Needless to say, early detection of a medical problem and its accurate diagnosis provide more options in the treatment, resulting in a better prognosis and recovery rate. From the diagnostic technological point of view, there are two factors that should be addressed. The first one is that the technology be with a high spatial resolution. Ideally, the spatial resolution should be at the cell-level. The other factor is that the diagnostic procedure be as least invasive as possible. Oftentimes, invasive procedures not only cause discomfort to the patient but also cause substantial damage to the patient’s condition and thereby degrade the prognosis. Optical and acoustic techniques are the most common and relatively easy methods to probe medical issues non-invasively. In fact, light and sound have been efficiently used in medicine for a long time. Experienced physicians can make diagnosis by observing the color of the patient’s skin and hearing the sound from an internal organ with a stethoscope. Modern technology makes it possible to diagnose at a much smaller scale. From the physical point of view, optical and acoustic signals are complementary to each other in various respects [1Park IK, Yoshida S, Didie D, Park HS, Didie D, Ghimire S. Simultaneous Application of Acoustic and Optical Techniques to Nondestructive Evaluation. In: Jin H, Sciammarella C, Yoshida S, Luciano L, Eds. 2014; Ann Conf Exp And Appl Mech 135-42.]. Biological tissues are nontransparent to optical waves in the most common frequency range, and transparent to acoustic waves in a wide frequency range. The human eye has much higher spatial resolution than the ear. It is usually the case that information probed with an acoustic method is converted to visual information for the final diagnosis. On the other hand, while optical information is usually planar two-dimensional, acoustic information can have depth sensitivity. For higher spatial resolutions, both optical and acoustic systems can be used in a microscope with a focusing device. However, it is usually easier to focus an optical signal than an acoustic one. The other area of technology that contributes to the recent advancement in medicine is so-called digital technology. All signals detected by hardware devices are analogue. By digitizing the analogue signal, we can process the data much more efficiently and precisely. Nowadays, it is the norm that the initial data analysis is made by computer. Sometimes, interpretation of the analyzed data is made by computer as well. In a slightly different context, this trend of digitization and computerization of data analysis increases the signal-to-noise ratio. Digital filtering [2Antoniou A. Digital filters: Analysis, design, and applications 1993.] of a raw signal from noise, for example, is much more sophisticated than the analogue counterpart. It also helps to avoid the inclusion of additional noise associated with the use of the analogue filtering device. Consequently, it leads to the reduction in the energy of the source power of the diagnostic apparatus, such as an X-ray source, contributing to the reduction in the level of invasion. It is impossible to cover all these recent progresses in medical diagnostic technology in a single issue of a journal. 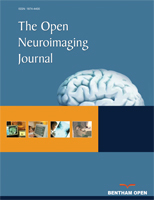 In this special issue, an attempt has been made to cover at least some of the points discussed above. A focus is made on acoustic technology [3Kinsler LE, Coppens AB. Fundamentals of Acoustics 3rd ed. 3rd ed.1980. ], as acoustic waves form a signal that can pass through human tissues with practically no damage. This journal issue has come to have a special meaning to me. One of the contributors to this volume and a long-time close friend of mine, Prof. Chiaki Miyasaka [4Miyasaka C, Tittmann B, Ohno M. Practical shear wave lens design for improved resolution with acoustic microscope. Res Nondestruct Eval 1999; 11(2): 97-116. [http://dx.doi.org/10.1080/09349849909409639] -15Kwak DR, Kim SH, Park IK, Miyasaka C. Visualization of interior structure with nanoscale resolution using ultrasonic-atomic force microscopy. Proc SPIE 2013; 8691. [http://dx.doi.org/10.1117/12.2012244] ], passed away before the completion of his paper. 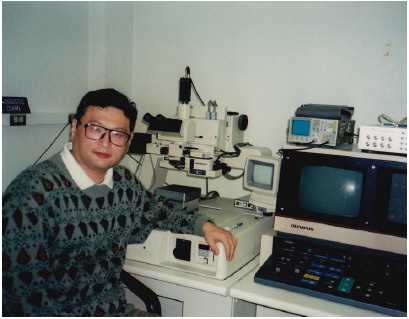 Prof. Miyasaka had conducted experimental research on acoustic microscopy extremely passionately and productively. In his later years, in particular, he did extensive research on biomedical applications of acoustic microscopy. He was the first person I asked to contribute to this special issue. He immediately agreed to write a paper and invited some other authors. However, very sadly, in an early stage of the project, he passed away. His paper was completed by a group of people who were not necessarily specialists in the field. It took much longer to complete his paper but with the great help by these people it came to the final form and received excellent evaluations from the reviewers. It is my intention to dedicate this journal issue to Prof. Miyasaka to commemorate his passion and contribution to acoustic microscopy. His research techniques and passion for acoustic microscopy have been taken over by his most beloved student Dong Ryul Kwak [15Kwak DR, Kim SH, Park IK, Miyasaka C. Visualization of interior structure with nanoscale resolution using ultrasonic-atomic force microscopy. Proc SPIE 2013; 8691. [http://dx.doi.org/10.1117/12.2012244] ]. Chiaki Miyasaka in front of Scanning Acoustic Microscope. Park IK, Yoshida S, Didie D, Park HS, Didie D, Ghimire S. Simultaneous Application of Acoustic and Optical Techniques to Nondestructive Evaluation. In: Jin H, Sciammarella C, Yoshida S, Luciano L, Eds. 2014; Ann Conf Exp And Appl Mech 135-42. Antoniou A. Digital filters: Analysis, design, and applications 1993. Kinsler LE, Coppens AB. Fundamentals of Acoustics 3rd ed. 3rd ed.1980.